Her performances were featured at renowned venues such as John F. Kennedy Center, Lincoln Center, United Nation, Japan Society, New York Live Arts, Asia Society Texas Center, Jordan Hall and Museum of Contemporary Art Chicago. Kimura held Duo YUMENO Tenth Anniversary Recital with Hikaru Tamaki at Weill Recital Hall, Carnegie Hall in 2019. She has worked with world-renowned musicians and artists such as Heiner Goebbels, Daron Hagen, Toshi Ichiyanagi, Wien Soristen Trio, Ikuro Fujiwara, Yasuko Yokoshi (dance), among many others. Since 2004, she has performed at many international festivals including Warsaw Autumn Festival, Nova Arts in Bordeaux, Vilnius Festival, The Uijeongbu Music Theatre Festival and Israel Festival. In 2019, she will appear at Le Festival Mondial des Theatres de Marionnettes in France for Basil Twist’s Dogugaeshi. Her performances have been broadcasted on NPR’s Performance Today, NHK-FM’s Hogaku no Hitotoki, WQXR and Nippon TV’s The MUSIC DAY. In Japan, she has performed at the Kabuki-za for the play, Sukeroku starring Danjuro Ichikawa XII, also appeared in wide variety of venues including the National Theatre, National Noh Theatre, Tokyo Metropolitan Theatre, Suntory Hall and World Heritage Sites; Ryoan-ji Temple, Kasuga Grand Shrine and Toshodai-ji Temple. She recorded various classical shamisen works for the online music archive, Traditional Music Digital Library. Kimura has won numerous awards and grants including the First prize at the prestigious 10th Kenjun Memorial National Koto Competition as the first Yamada school player (2003); Kyoto Aoyama Barocksaal Award (2015); Chamber Music America Classical Commissioning Program grant (2014), the Janet Latz Professional Fellowship (2011), the Japanese Music Audition for NHK-FM (2005); a scholarship from the Agency for the Culture and Affairs in Japan (2004); the First prize at the Great Wall International Music Competition and the Osaka Chinese Counsel Award (2002). As an enthusiastic proponent of contemporary music, Kimura has premiered numerous new works for traditional Japanese instruments at the concerts presented by Japan Society for Contemporary Music, Kyo-Shin-An Arts and many others. 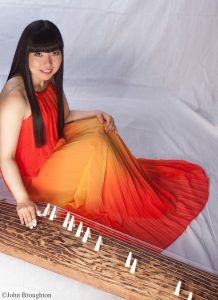 As a koto soloist, she premiered Koto Concerto: Genji -13 string koto version- composed by Daron Hagen with the Euclid Quartet in 2013, and later performed it with Ciompi Quartet, Freimann Quartet, Urbana-Champaign based Prairie Ensemble Orchestra and the Wintergreen Music Festival Orchestra conducted by Mei-Ann Chen. In 2014, Kimura premiered Kaito Nakahori’s Japanese Footbridge for koto and chamber ensemble at the Jordan Hall, and gave the US premier of James Nyoraku Schlefer’s Concertante with Texas Festival Orchestra at the Round Top Music Festival in 2015. As a shamisen soloist, she performed Shamisen Concerto at the National Olympic Memorial Center in 2004. In 2015, Kimura was invited to perform at the Asia Society Texas Center with Aperio. In 2016, she performed with American Symphony Orchestra in Pietro Mascagni’s opera Iris as a shamisen player. In 2017, Kimura commissioned and gave a world premiere performance of Marty Regan’s Shamisen Concerto No.1 Polaris. In 2009, Kimura founded Duo YUMENO with cellist Hikaru Tamaki. The duo offers a unique fusion of sound that explores both traditional Japanese music and Western classical music, commissioning new works and creating their own arrangements. Yasuko Tazumi, the Jury President of Kyoto Aoyama Award, praised “the voices of the koto and cello shifted in color like a kaleidoscope, creating a variety of rich and expressive tones.” In 2015 they released their first album, Flowers, Birds, Wind, Moon: Music by Marty Regan. The duo was featured at Chamber Music America’s 2016 National Conference. In 2017, they performed at the John F. Kennedy Center and the residence of the Japanese ambassador to the United States in Washington, D.C. Currently, the duo is working on a commissioning project with composer Daron Hagen on a suite based on The Tale of Heike. Born and raised in Saitama, Japan, Kimura started piano from age four but took an interest in many types of music. She started Yamada style koto studies with Yukano Inoue at the age 10. At the age 14, she began her intensive koto training with Kono Kameyama, the foremost Yamada style performer in Japan. She graduated from the Tokyo University of the Arts and Music, where she was awarded the top prize for her graduation recital. In 2000, she received her stage name Reikano and Kyoju (master) certificate from Hiroko Nakanoshima Ⅵ, daughter of the legendary koto and shamisen performer and composer Kin’ichi Nakanoshima. While advancing her studies in Japanese classical music, Kimura took a deep interest in new music written for Japanese instruments. She continued her studies at the NHK (Japanese national broadcasting corporation) School for Young Professionals. At the Institute of Japanese Traditional Music, she studied contemporary music with Akiko Nishigata, who pioneered the performance of new musical repertoire on the shamisen. 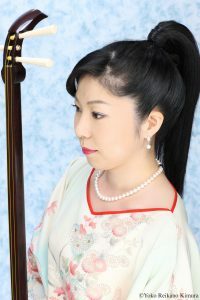 In the genre of the Kato style shamisen – a genre closely related to Yamada style koto music – Kimura studied with Senko Yamabiko, a Living National Treasure, and received the name Reiko Yamabiko. Before moving to the US in 2010, Yoko was a faculty member at Senzoku Gakuen College of Music and a koto instructor at Kiryu University. As a Japanese instrumentalist, she continues her performances in Japan and holds a teaching position at the Institute of Traditional Japanese Music, an affiliate of Senzoku Gakuen College of Music. Since Kimura moved to the US, she has given workshops and lectures at various educational institutions, such as Harvard University, Columbia University, Princeton University, University of Chicago, Duke University, University of Hawaii and New York Philharmonic’s educational program.